Licensed practical nursing still remains one of the nation’s hottest jobs, and that trend is evident in Nebraska’s job market. The high demand for LPNs is a direct response to the aging population and the exodus of retirement-ready nurses. Unlike other states where multiple schools produce more supply than demand, Nebraska’s nine board-approved programs manage to keep supply and demand on an even keel. LPNs responsibilities revolve around bedside care, clerical work, nutrition education, and measuring vital signs under the supervision of a registered nurse or physician. Prospective LPNs must complete a state-sanctioned nursing education program in preparation for the NCLEX-PN. The duration and cost of LPN education are less than for an RN, making it an attractive option for those who want to begin a sustainable career in the shortest possible time. The Nebraska Department of Health & Human Services requires all nurses to secure state licensure before practicing and also determines candidates’ eligibility to take the exam and maintain a license to practice. The Practical Nursing program covers an intensive study of nursing principles in the classroom, lab, and clinical site. Students learn the concepts and principles and acquire the skills and attitudes to become practical nurses capable of working with patients throughout the lifespan. The course curriculum includes geriatric nursing, medical-surgical nursing, maternal-child nursing, medical terminology, pharmacology, human anatomy, basic nursing principles, vocational, legal and ethical concepts, and much more. The clinical experience at a community health facility takes place under the guidance of experienced faculty members. The DHHS currently approves nine open nursing education programs in Nebraska. Students must complete a Board-approved program to qualify for licensure. A few programs offer full-time and part-time schedules. An applicant must be at least 18 years with a high school diploma or GED. Upon acceptance to the program, students must complete a criminal background check and drug screen. Students must also agree to random drug screenings throughout the program. Misdemeanor or felony convictions may affect your ability to graduate from the program and/or obtain a state license. After graduation, graduates are eligible to apply for the state licensure examination to become licensed practical nurses. 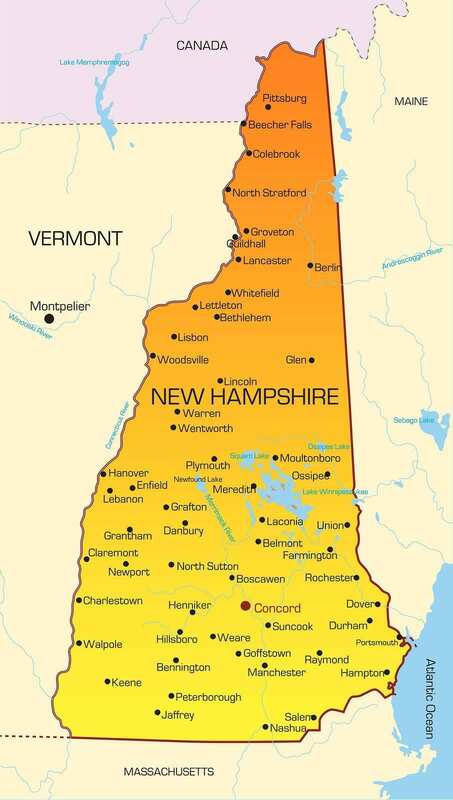 Following the DHHS approval of state licensure, LPNs can work in a variety of settings, including clinics, home health care, long-term care facilities, and hospitals. Graduates also have the option to transfer credits to a degree program. Duration and Cost of Training: The duration of practical nursing programs depends partly on the student and the number of credit hours he/she completes each semester. The average practical nursing program may be completed in 10 to 12 months based on a full-time schedule. The estimated cost of training is $23,400 for tuition, textbooks, and supplies. Students must also budget for administrative fees, background screening, physical exam, CPR, and transport to the clinical sites. Financial aid may be available through federal or private loans and in-house payment plans. The NCLEX-PN bridges the gap between your status as a nursing graduate and your goal to become a Licensed Practical Nurse. A passing score on the 85 to 205 Computer Adaptive Test (CAT) demonstrates your competency to provide safe and effective care to patients in a health care setting. Register for the exam online, over the phone, or via postal mail and pay the $200 registration fee using a credit card (over the phone or internet) or money order mailed to the testing provider. Submit your application for licensure by examination with Nebraska’s Department of Health and Human Services at the same time. The DHHS will review your application, including your school transcript (or letter confirming your completion of the nursing program), payment, and other documents, and notify the testing service if you’re eligible to take the test. Pearson Testing Services will issue the Authorization to Test (ATT) letter, which will contain details for scheduling the exam. You must make the appointment and take the test within 90 days. Take the letter and a valid photo ID to the testing center. It is important that you review the Candidate Bulletin, which contains details on scheduling the test, an overview of the exam, and what to expect on exam day. The exam results should be available within 24 to 96 hours. The DHHS will issue your multistate license if you pass the exam and meet all the other requirements for licensure. Nebraska’s LPNs complete 9 to 12 months of nursing education at a community college or vocational school before practicing under the guidance of a registered nurse or licensed practitioner. The Nebraska Department of Health & Human Services will only grant a license to graduates of approved nursing education programs. You must have a Nebraska nursing license or temporary permit prior to commencing practice as a nurse in Nebraska. In 2001, Nebraska adopted the Nurse License Compact Act and became a compact state. The Act enables LPNs and RNs to practice across state borders (within other compact states only) with their multi-state license. Nurses with a multi-state license who are under discipline or a monitoring agreement may not practice in other compact states. Nebraska residents applying for state licensure for the first time will receive a multi-state license to practice in other compact states. LPNs with licenses from other compact states do not need to apply for a Nebraska license to practice – the employer must verify the employee’s license status through NURSYS. Complete the application for licensure by exam if you want the authority to practice based on your success on the NCLEX licensing examination. Fill out the application completely and indicate the address where you want the license mailed. Include a telephone number for the Board to contact you regarding your application. Include a recent wallet-sized signed photo of yourself. Provide a copy of your ID as evidence of your age – 19 years or older. Provide evidence of your lawful presence in the US – US Passport, birth certificate, Certificate of Naturalization, American Indian Card, US Citizen ID card, etc. Request your official transcript from the nursing program; sent directly from the school to the DHHS. Graduates of a foreign nursing education program must submit evidence of successful completion of the Commission on Graduates of Foreign Nursing Schools (CGFNS) or the Canadian Nurses Association examination. Graduates of non-English speaking programs must submit evidence of passing an English proficiency exam. Submit a certified copy of the court records (sent directly from the court to the DHHS) and a report from your probation officer if you answer year to the criminal history questions. Submit an official copy of the Board’s order if you have disciplinary actions pending or a revoked license. Attach the $123 registration fee payable to DHHS, Licensure Unit. Submit your application for the NCLEX at the same time you submit the application for licensure. The application will remain open for a period of 150 days. After this period, the DHHS will destroy incomplete applications and issue a refund with a written notification. The NLC became effective in Nebraska in January 2001. You must have a temporary permit or multi-state license from a compact state to practice in Nebraska. 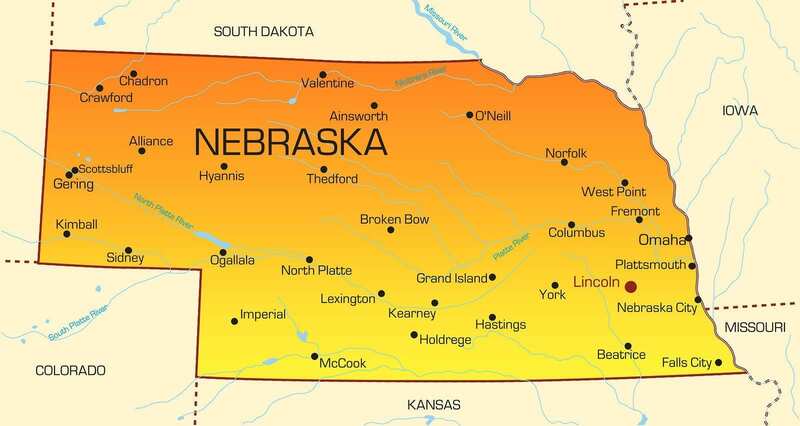 If you’re moving to Nebraska from another compact state, you may practice temporarily and obtain a Nebraska license when you obtain residence in Nebraska. Proof of age and citizenship – driver’s license, birth certificate, US passport, American Indian Card, etc. Evidence of graduation from an approved nursing program. Request your official transcript showing the date of graduation from the nursing education program; sent directly from the school to the HHS. Register with Nursys online to verify your license if your original state of licensure is listed. If your state is not listed, you’ll need to send the Nebraska license verification form to the licensing agency to have your licensed verified and sent directly to the Nebraska Board of Nursing. Demonstrate proof of continued competence: graduated from an approved program two years prior to the application for endorsement, or a minimum of 500 hours of nursing service in the previous 5 years, or completion of a review course of study within the previous five years. Proof evidence of successful completion of the NCLEX or State Board Test Pool Examination (SBTPE). A list of misdemeanor or felony convictions, a certified copy of the Court Record (including charges and disposition), an explanation of the events leading to the conviction, proof of treatment and rehabilitation for addictions and mental health issues, and a letter from the probation officer if you respond “yes” to the conviction and licensure information. Attach a notarized copy of your current, active license from another state for a temporary 60-day permit. You may qualify for a temporary permit pending completion of your application for Nebraska licensure. To be eligible, you must submit your application and the fee along with proof of age /citizenship, and verification of your active license in another state. The temporary permit, once issued, is valid for 60 days. Applicants who cannot meet the continued competence requirements (outlined above) must take a review course of study. The DHHS may issue a temporary permit for the purpose of taking the refresher course. Developed a portfolio that includes your continuing competency goals and evidence of your professional activities to fulfill those goals. Report any conviction for a felony or misdemeanor since the last renewal and provide supporting documents. License holders must renew online. The renewal fee is $123. If you fail to renew by the deadline, you must reinstate your license. The reinstatement fee is $158. Nurses who continue to practice after the license expires on November 1 must pay $10 for every day practiced up to a maximum of $1000. There’s an overwhelming demand for new LPNs in Nebraska’s nursing homes and extended care facilities. The demand is greater in long-term care than acute-care settings. According to the BLS, there were 5,910 licensed practical nurses employed in Nebraska in 2014. The Bureau projects that the need for personnel to meet the rising population healthcare demands will drive employment to 6,720 jobs over the next decade. The Nebraska Center for Nursing reports alarming shortages in 28 counties as healthcare facilities have less than 50 percent of the nursing staff they need to cater to public demand. While salaries for LPNs differ by location, the statewide average is $38,760 or $19.38 per hour. By comparison, the national average for LPNs is $20.87 per hour or $43,420 annually. LPNs in the metropolitan areas of Omaha and Lincoln earn an average salary of $40,550 per year, which is more than those working in rural areas in central and southeastern Nebraska. A career as an LPN provides not only a good potential for income, but also job stability, different work environments, and opportunities to advance with further education. More than 25 percent of Nebraska’s LPNs enroll in a degree program to become registered nurses and increase their job responsibility and income earning potential. But hire techs to provide most of the care! LPNs are educated and licensed to care for patients. You might like it here in Nebraska. Alecia Evans, I thought of you 🙂 move to NE! Well you are always welcome. Just sayin. A few years ago the experts were saying LPNs were in a profession that was a thing of the past. My how their ideas change.